I wrote this sales analysis for my good friends at Urban Turf, who published a more polished version a few days ago on their site. 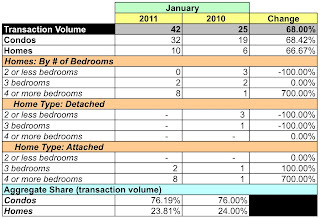 In this post, I look at January sales recorded for DC zip code 20009 using data released by MRIS. That zip code is roughly bordered by Q St NW on the south, Connecticut Ave NW on the west, 11th Street NW on the east, and Irving Street NW on the north. The Dupont Circle [excluding Dupont Circle itself], Columbia Heights, and Adams Morgan neighborhoods are encompassed within those borders. 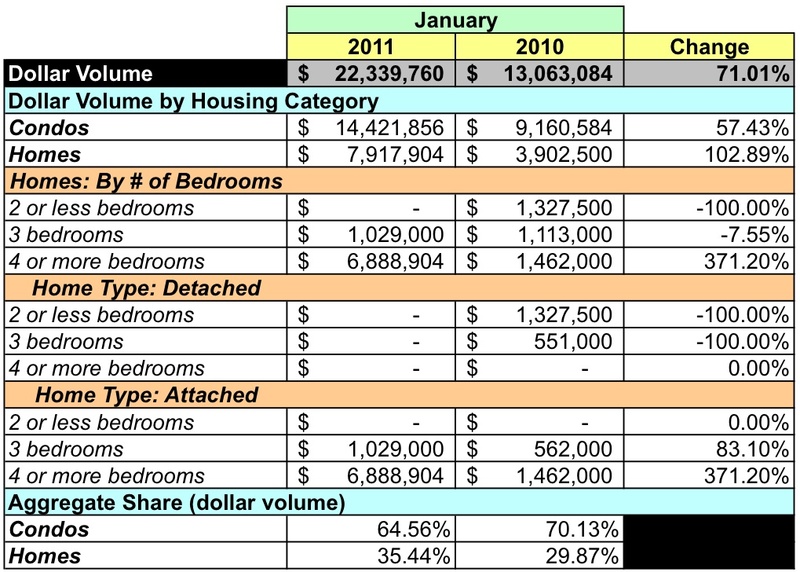 YoY, aggregate dollar volume rose 71.01% and the number of units sold was 68% greater. However, aggregate average sales price was almost flat, up a mere 1.79%. Condos made the market in 20009. 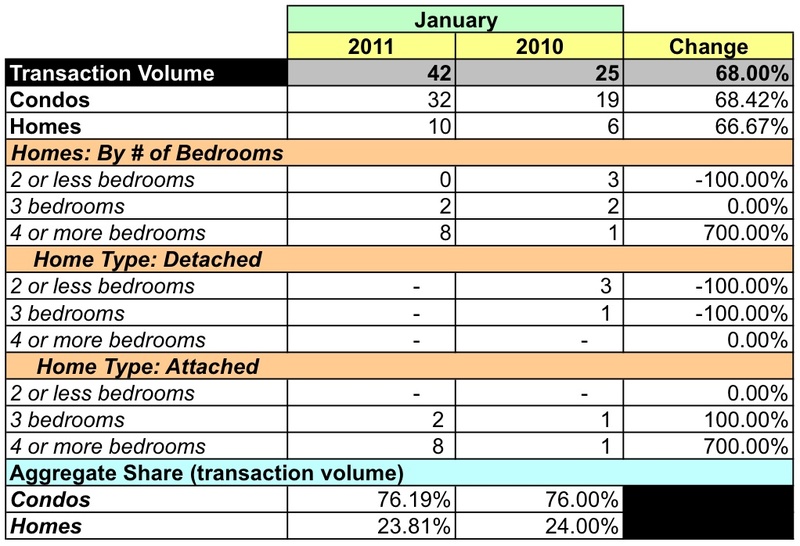 In January, they accounted for ~75% of units sold and ~65% of the dollar volume. And yet their average price fell 6.52% YoY. YoY, condo dollar volume was up 57.43%, unit volume was up 68.42%. Given that their average price fell, it appears to be a case of more units selling for lower prices. January was a good month for homes. YoY, dollar volume doubled, up 102.89%. Unit sales rose 66.67% and the average price rose 21.74%. 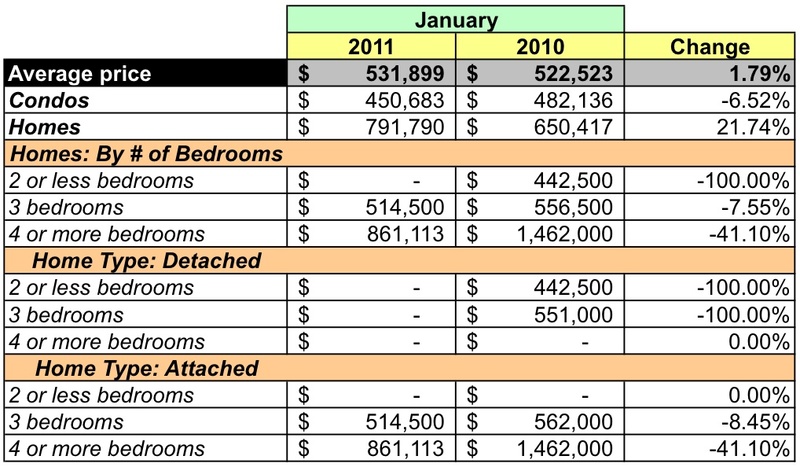 No condo sold for more than $1MM and one home sold for $1MM-2.49MM. In January, zip code 20009 represented 12.32% of DC's dollar volume and 11.02% of unit sales. In comparison to the District as a whole, its average price was 11.73% higher and its median price was 31.49% higher. 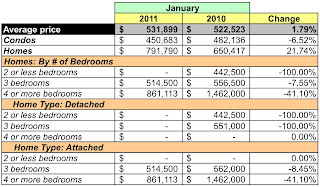 At January's sales rate there's a 3.97 months supply of condos and 2.8 months supply for houses listed in 20009. In other words, a tight market good for sellers.